Suddenly kids plus size clothing has become a booming industry. 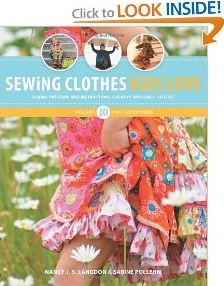 This is a book of colorful and imaginative children’s clothes to sew, designed with kids in mind. The authors are designers known in the sewing community for their creativity, versatility, and fit. The patterns include suggestions for alterations for difficult-to-fit children, including plus size. You can use this information to start your own plus size kids clothes business. I recommend you start selling your first productions at flee markets and craft fairs. You can display a selection of styles, and if you don't have the exact size desired, you can take orders. This collection of exclusive patterns, included with the book, offers step-by-step instructions for making boys and girls clothing with a variety of fabric styles and decorative embellishment—including embroidery, patchwork, and trims. The patterns for pants, tops, skirts, and dresses include variations for long and short hemlines and sleeves, various necklines, and adjustable lengths. 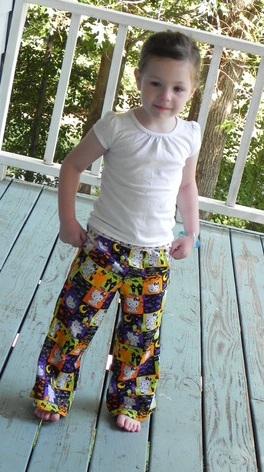 The patterns are sized from 18 months to kid’s size 12. Reader Jennifer Robinson of Rockville, MD says, "I've been waiting for this book to come out since Nancy first mentioned it on her blog. As a devotee of Farbenmix and Studio Tantrum patterns, I knew that this book was going to be something that I wanted. I prefer these patterns for several reasons: they have great fit with growing room; the designs are easily adapted to be simply made or given the full-on embellishment treatment; the designers seem to think "outside the box" when creating their patterns, resulting in garments that are dynamic in motion and fit beautifully with an original twist. "I really like this book, it does have its drawbacks (as any book does), so I'll list the Pros and Cons as I see them in order to give a balanced review.